Custom products and packaging is an effective way to market your brand and differentiate your company from the other competitors. Branding capabilities allow you to add a special level of professionalism to your business. 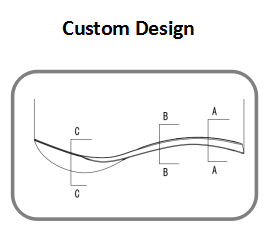 We have an elite R & D team for in-house design and prototype development. Our rich industrial experience and expertise will help you to create the desired products to meet the specific market demands. 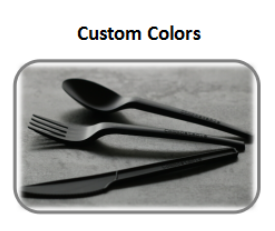 Diffrentiate your products and advertise your brand by adding a customized embossment to your cutlery. 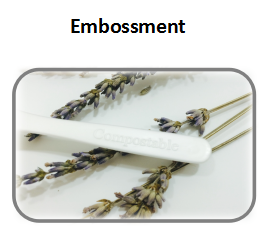 Embossment is available on our entire cutlery product line. Custom color is a good way to differentiate your products from your competitors’. For example, black cutley looks more elegant and classy, therefore is great for high-end catering market. Give Us Your Idea, and We Will Take Care of the Rest!